At a community meeting last week, Telluride Ski Resort announced plans to expand its bike trails. 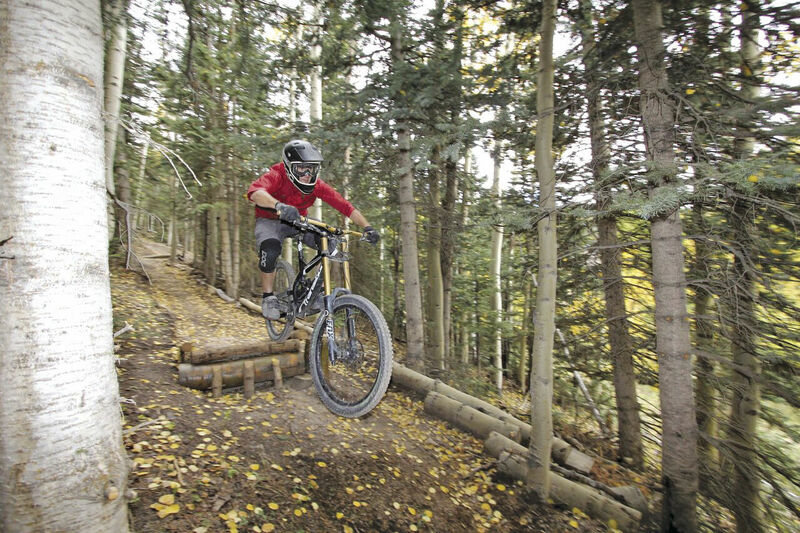 The Telluride Bike Park, set to open June 2019, is currently underway with Telski investing $1 million to build miles of bike trails. Gravity Logic of Whistler, a industry leader, has been hired design and construct the project. “The new terrain (inside the park) will be more on the flow side of things. We hired Gravity Logic out of Whistler, the industry leader, to design and construct the park, and they’ve already started,” he said. Ten miles of new terrain will be added. As with other upper-echelon bike parks, Telluride’s will be monitored by Bike Patrol to aid with mechanical problems and medical emergencies. And, like popular playgrounds, it will charge users to play. The gondola's San Sophia Station already provides access to the existing trails, Village Trail, Prospect Trail, and Basin XC Trail as well as the Mountain Village Bike Park (downhill bike park). Additional uphill access will be provided by Lift 4 (Village Express). The cost, however, will be substantially less for holders of Telski winter season passes: a one-time $25 donation to the NFF, which will grant the donator access to Cross-Country, Freestyle and Technical trails, as well as unlimited rides on Village Express. The resort plans to open Telluride Bike Park the third Saturday in June with daily operation through Labor Day, then moving to Saturday-Sunday operations through the second Sunday in October. Personnel will scan passes at Station San Sophia and atop Village Express from 10 a.m. to 6 p.m., which also are the hours for the Bike Park, as well as its patrollers, guides and instructors.